This popular book provides a strong foundation in leadership and management for students and nurses practicing in today's changing health care environment. The role of the nurse professional as leader and manager in acute care, community, and long-term settings is examined. "Nursing Leadership and Management: Concepts and Practice is an easy-to-read, simplistic yet comprehensive book that offers a wealth of knowledge." 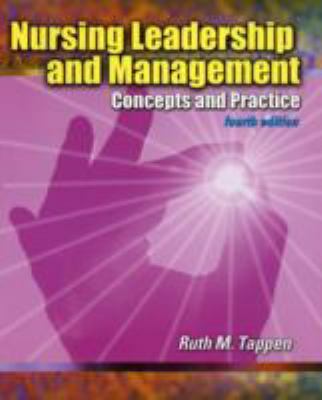 -- SCI Nursing, Volume 18, Number 1, Spring 2001Tappen, Ruth M. is the author of 'Nursing Leadership and Management Concepts and Practice' with ISBN 9780803606098 and ISBN 0803606095.